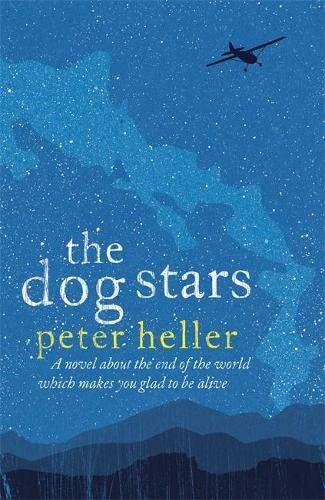 This rather thoughtless inconsistency is not the only problem with The Dog Stars , but it does serve as a kind of leitmotif for the novel's irksomeness. I've seen a number of reviews comparing Heller's novel with Cormac McCarthy's 2006 classic The Road . If you think Rodgers and Hammerstein's The Sound of Music bears a similarity with Michael Haneke's The White Ribbon , there's a chance you might grant this comparison some weight, but surely not otherwise. The events of the novel take place in Colorado, nine years after a flu pandemic has wiped out a large proportion of the world's population, followed more or less immediately by "the blood," an auto-immune disease that goes on to pick off most of the survivors. Our narrator, Hig, is one of the less than one percent who proved immune. Following the death of his wife Melissa in one of the predictably nightmarish public flu wards, Hig takes himself off to his local aerodrome, where he teams up with a gun-crazy loner named Bruce Bangley. Hig patrols their perimeter in his 1959 Cessna, Bangley sits in his attic stronghold, picking off any "visitors" with his lovingly nurtured personal arsenal of deadly weaponry and tinkering with his latest project, a homemade grenade launcher, just in case the assault rifles and custom-made handguns aren't enough. When he's not on patrol duty, Hig walks the mountain trails with his faithful dog, Jasper, fishing for carp and hunting deer. But Jasper is old—Hig doesn't like to calculate just how old—and one cold night on the mountainside he dies in his sleep. The death of Jasper triggers an outpouring of grief in Hig—for his lost wife, his lost world, for everything. He loads up the Cessna with supplies and, bidding a temporary farewell to Bangley, sets off in search of a mysterious airfield from which once, some years previously, he heard someone briefly answer his call sign through the static. Indeed, Heller is absolutely most comfortable when he's describing the natural world, the mountain trails and streams, the mechanics of hunting, fishing and flying, shooting a gun. Heller is already known as a writer of non-fiction narratives of adventure and outdoorsmanship, and when he's writing the thing he cares most about his words pulse effortlessly and convincingly off the page. Heller shows us a world we can lose ourselves in, be mesmerized by. But when he steps outside that comfort zone, things begin to come apart badly. For a start, Heller seems unable to ascertain the exact nature of the catastrophe he is trying to write about. Is it a flu pandemic or global warming? HIV-type infection, or forest die-back? When a few essentially fit and hardy survivors inherit a flourishing ecosystem teeming with game and crying out to be farmed, why do they feel the need to roam the countryside in motley bands, gunning each other down like renegade marines fighting for survival in a hostile territory? If Hig is shooting venison and catching carp virtually every day, why should poor old Jasper be forced to dine off the flesh of the summarily executed visitors? In the room that would have been the living room, where the TV might have been, one wall was pegged, and on a hundred pegs the caps, mostly baseball caps with the logos of FBOs, aircraft service centers, aviation specialists of all types. . . . The rest of the walls were covered with shelves. On the shelves, alternating, were pairs of spectacles – sunglasses, reading glasses, bifocals, everything—and crudely stuffed birds of every type . . . Hobbies still going strong, Pops said. That's a relief. And that's before you get to the blood-drinking cats. The marauders "dressed like goddamn Mongols" (p. 304)? Don’t get me started. The sad truth is that every scene of what passes for apocalyptic drama in The Dog Stars feels unconvincing. This is unmistakably that kind of novel where SF is merely a stage dressing, a bolt-on, a way of marking the novel out from all the other earnest first novels about finding yourself in college or in the big city or in the backwoods. In the hastily sketched, derivative images of mass panic and burned out cars, desperate final phone calls and hospitals in the terminal stages of overload, every line feels uncomfortable with itself, redolent only with the sense that the author has no genuinely heartfelt interest in what he is writing. He's aching to get back to telling us about how to calculate the maximum take-off weight for a 1959 Cessna from an inadequately makeshift runway, or why an old-fashioned side-loading hunting rifle turns out to be your surest weapon when you’re in a siege situation. In comparison with the staring-eyed and gaunt-cheeked, mercilessly crushing claustrophobia of The Road , Heller's homespun apocalypse is laughably escapable, and if The Dog Stars reminded me not at all of McCarthy's masterpiece, it did very much recapitulate some of the problems that so incapacitated Karen Thompson Walker's "slow catastrophe" The Age of Miracles . That book, also published in 2012, also a debut, seemed similarly hamstrung, fatally suspended between the science fictional and the quotidian and doing no service to either. Heller as a writer is not without talent. His attention to small details, the thoughtful control he has exercised over the structure of his novel and above all his clear love for language is ample proof of that and is to be commended. My advice to him for next time, however, would be to employ more honesty in communicating the story that truly interests him. The Dog Stars contains altogether too many apocalypses. Why Heller should wheel out this confused and confusing jumble of half-cooked ideas, this unoriginal use of too-familiar SF tropes, when it seems obvious that what he really wanted to write was a book about a man, his plane, his dog, and the truth he finds in nature, remains a mystery to me. Nina Allan’s stories have appeared in Best Horror of the Year #2 , Year's Best SF #28 and The Year's Best Science Fiction and Fantasy 2012 . Her story cycle The Silver Wind was published by Eibonvale Press in 2011, and her most recent book, Stardust , will be available from PS Publishing in 2013. Nina's website is at www.ninaallan.co.uk. She lives and works in Hastings, East Sussex. Yes. Exactly. Thank you for this review! Ms. Allan's half-hearted admission that, "Heller as a writer is not without talent.." is in keeping with the rest of her review. Why not just a less affected admission that Heller is a talented writer? Too straight forward perhaps? Much of the critique here is easily debunked by anyone who'd actually waded in a mountain stream while trout fishing or been in combat. Science suggests that a warming process which kills off a species could be followed by an ecological rebound.. and colder streams. There are plenty of other examples provided by Heller.. forest regrowth over 9 years.. some species rebounding, etc. Could a woman technically expert in firearms never-the-less be traumatized in combat, vs. a Navy SEAL? Could city-dwellers be unable to hunt/fish/garden well enough to survive and instead set off scavenging? One has only to look around the planet to find plenty of current examples of that pattern. When we bore down on Ms. Allan's concerns they mostly fade away and we're left with an excellent novel by a talented writer. Beyond that however, Ms. Allan seems unable or unwilling to suspend her disbelief, even a little. 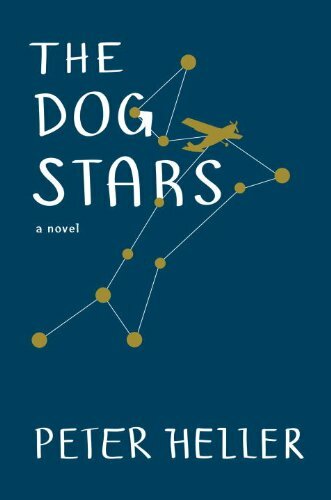 She finds fault with a few possible inaccuracies while minimizing the more important fact that "The Dog Stars" is a page-turner.. A novel which shares a good story and complex and intriguing characters most readers will come to care about. Minor details don't need to ruin a good story and "The Dog Stars" is a good story. Finally, criticizing Heller for not writing a different story is no criticism at all. It's just presumptuous.